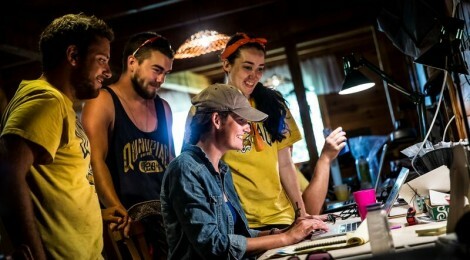 May 5, 2015 – Two Quinnipiac students are among 10 undergraduates from across the country who have been selected to participate in an archaeological dig and research project in Hungary this summer. Matthew Capece, a junior biology major, and Edward Bormann, a senior diagnostic imaging student, will spend six weeks unearthing artifacts and conducting research at the Middle Bronze Age Cemetery and the settlement of Bekes 103 in southeastern Hungary as part of the Bronze Age Koros Off-Tell Archaeology (BAKOTA) Project. Students will work individually or in teams on specific research related to their interests. “Finding out I was selected and would be using diagnostic imaging procedures to do research was a huge surprise, privilege and honor,” said Bormann. This year Julia Giblin, assistant professor of anthropology, was awarded a $358,558 National Science Foundation grant that will enable up to 30 students to participate in the research and field school over the next three years. The students will learn archeological research skills, from handling artifacts to collecting and evaluating data. In addition to having the trip funded, each student will receive a $500 weekly stipend. Most field schools cost students about $5,000 to participate. Some of the students selected are from community colleges and universities that do not have the equipment or resources to provide research opportunities to undergraduates. Participating students will present their findings at an annual meeting of the Society for American Archaeology and have the opportunity to publish. 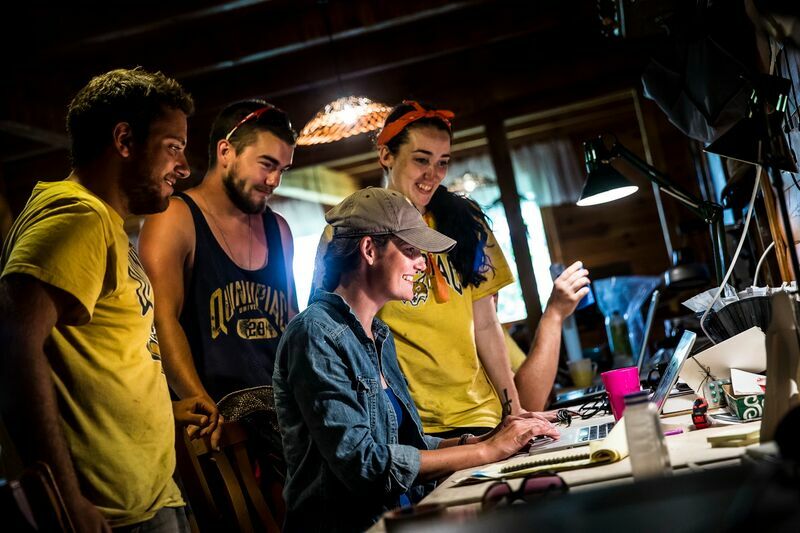 “The Research Experience for Undergraduates grant from the NSF provides funding to great students who wouldn’t ordinarily be able to afford to pay for an international field work experience,” Giblin said. In addition, the Central European Institute at Quinnipiac is funding five students from Hungary and Poland to participate in the project. Quinnipiac student Justine Tynan, a junior, has been to the BAKOTA field school twice with Giblin and is returning this year as a lab supervisor through funding provided by the College of Arts and Sciences Student Research Support Grant. Tynan, a history major, with a minor in anthropology, will be working on her own research project on cremation urn burials from the Hungarian Bronze Age. Jaime Ullinger, assistant professor of anthropology and co-director of the Bioanthropology Research Institute at Quinnipiac, will be one of several mentors from the U.S. and other countries. From a pool of 60 students from across the country, Capece and Bormann were two of 10 students selected based on academic standing, relevant skills and interest in the project. Bormann said he was inspired to apply after hearing his diagnostic imaging professor, Gerald Conlogue, share stories of imaging mummies and archaeological artifacts around the world. Bormann is considering applying to graduate school for forensic anthropology or biological anthropology. The other participating U.S. students are: Alana Acuff from the College of Charleston, Ashley Cercone from SUNY Buffalo, Francisco Diaz from San Francisco State University, Tucker Hlad from Columbus State Community College, Dylan Kelly from the University of New Hampshire, Kayla Pio from the University of Michigan, Pranavi Ramireddy from Hampshire College, and Virg Varga from the University of Cincinnati.